I couldn’t read another book for a week after I finished this. The characters stayed with me and the setting at an old estate on Scotland’s Outer Hebrides was so vivid that I had to take a drive down to our beach to hear the gulls and watch the sandpipers. There is mystery and romance, family secrets and entanglements. The story goes back & forth between events that happened at Muirlan House back in the early 1900’s and then to the fallout in present day. A great read!!! Sarah Maine was born in England but grew up partly in Canada before returning to the United Kingdom, where she now lives. She is the author of The House Between Tides, Beyond the Wild River, and Women of the Dunes. Maine skillfully balances a Daphne du Maurier atmosphere with a Barbara Vine-like psychological mystery...The setting emerges as the strongest personality in this compelling story, evoking passion in the characters as fierce as the storms which always lurk on the horizon. A debut historical thriller which deftly blends classic suspense with modern themes." "Evocative...Much is left up to the reader to interpret, which showcases the skill of this debut author. The novel is a haunting story of loss and longing in an unusual setting. Recommended." “I really enjoyed the ambiance of the book… It felt like a great harmony between the environment and the mystery taking place. You could feel the mood of people in keeping with the landscape, the mood adapting to the elements... A very enjoyable atmospheric novel, spanning over a few generations, rich in landscape descriptions and suspense." 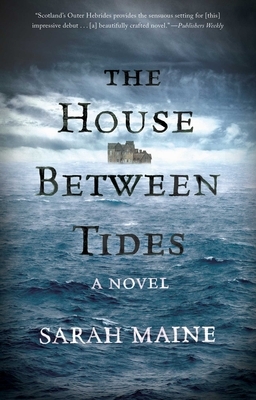 “The House Between Tides reminds me of books written by Phyllis Whitney, Victoria Holt or Mary Stewart in that they all have the same style of writing, moody, dark and atmospheric stories that involve romance and mystery where the male characters are often brooding and the women are bound to fall in love them in spite of their moodiness and mystery."